At Fab-Line Machinery, we are extremely proud to serve as the sole importer of Baykal Machinery products in the United States of America. We carry their full line of press brakes and shears to meet any of your sheet metal working needs – your fabrication floor will never be the same! After being in business for over 60 years, Baykal Machinery has appointed deals in every corner of the world and has committed to supplying only the highest quality fabrication machines on the market. Baykal combines the latest technology with energy efficient process to produce high-quality press brakes that are sure to revolutionize your business! Fab-Line and Baykal – A Perfect Match! 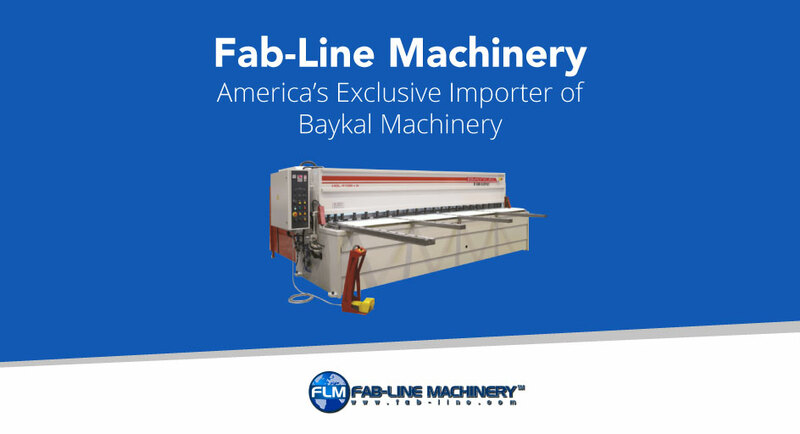 Fab-Line Machinery is honored to assume the role of America’s only importer of Baykal Machinery. We highly value our outstanding relationship and look forward to many more years of success and partnership. If you are looking to add a top-tier press brake to your fabrication floor, contact Fab-Line Machinery to find out why a brand new Baykal press-brake could be right for you.